I’m a pistachio nut. Let me rephrase that. I love pistachios. 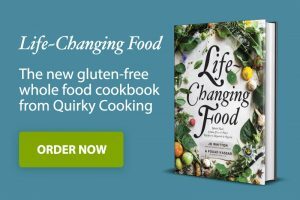 Growing up in a Lebanese home, our pantry had a section especially dedicated to Kloobat, a word that roughly came to mean “nut garnishes”: almonds, dessicated coconuts, pine nuts, walnuts and off course pistachios. Mom would use them on dishes both savory and sweet. Rice dishes like Chicken with Rice (tastes much better than it sounds) and Stuffed Lamb would never be complete without a mixture of golden pan fried pine nuts and halved almonds and bright green pistachios. As for desserts, Mighli (a spicy rice dessert made to celebrate a new birth and Christmas), Mhallbiyyeh (a creamy and light milk based pudding) and even drinks like Jallab had their fair share of toppings. These nuts add a depth of flavour and texture to whatever they come across, lifting the dishes to new heights. 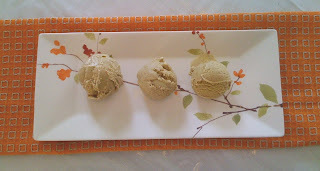 And so recently, while I was reading through David Lebovitz’s blog, I came across his recipe for pistachio ice cream. His description of that Bronte Pistachio Paste was so enticing, I knew I had to make that ice cream. However, I had a couple of problems. I looked everywhere in Australia for Bronte Pistachio Paste but I couldn’t find it. The other problem was the fact that I was on a gluten/dairy/sugar free diet under the strict orders of my naturopath. That meant that I had to substitute milk for soy milk and sugar for honey. I was up for the challenge, but first, I had to find my pistachio paste. Weeks later, on my way back from work, I decided to venture on the realm of the unknown. I passed by Abu Hachem’s Lebanese grocery in Dulwich Hill and bought half a kilo of Pistachio kernels for $10. I got home, put 250 grams of kernels in the food processor and started it up. A minute later, I had something that resembled almond meal. Good, but not good enough. I wanted Marzipan texture. So I got 2 tablespoons of almond butter and whizzed that in. The texture starting transforming to something more like what I wanted, but it was not quite there. 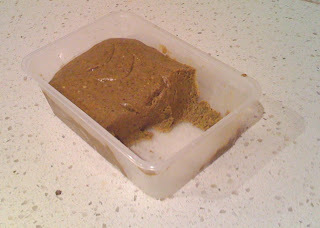 So I got some neutral oil (Canola) and in a pesto like fashion, I added a thin string to the mix while processing until I ended up with a perfect Marzipan like block of pistachio paste. Make a slurry from the cornstarch and half a cup of soy milk. Heat up the remaining soy milk, add and stir in the honey. Keep adding honey until desired sweetness is reached. Constantly stir and when the soy milk starts boiling add the cornstarch and soy milk slurry. Boil on a low heat for 2 minutes then take off the heat. In a blender or a food processor, liquidise the soy milk with the pistachio nut paste and a squeeze of lemon juice until well blended. Without waiting for it to cool down, churn in an ice cream maker. Five minutes before you feel it’s ready, add the alcohol. This will help keep the ice cream soft when frozen. Freeze overnight for a well set ice cream or consume immediately if you like it soft. I tell you what. This ice cream is the bomb. You will not believe that something that tastes so naughty is actually OK on the healthy scale. On the down side, I think I should have peeled the pistachios because the skins make for a gritty texture, which is not too unpleasant – a smoother texture would be nicer, but I’m not sure I want to spend 3 hours peeling pistachios. Maybe sieving the liquid before churning might work. David, thanks for the inspiration.